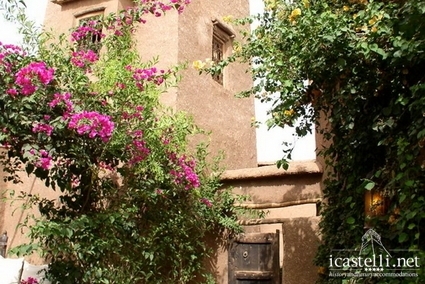 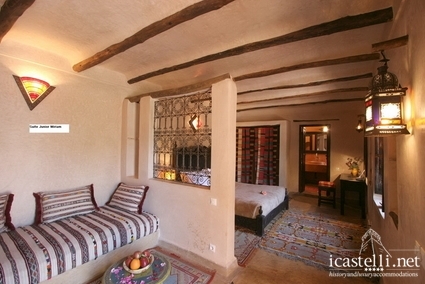 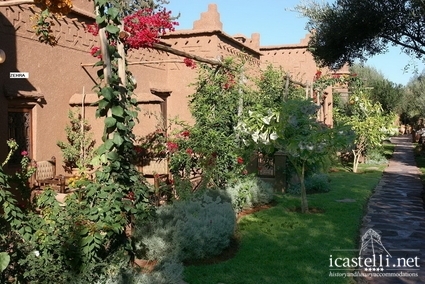 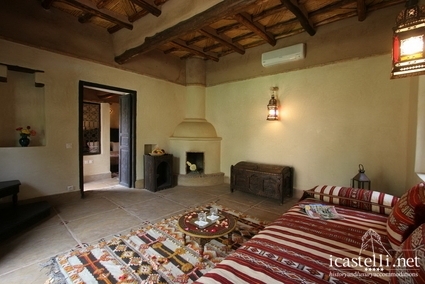 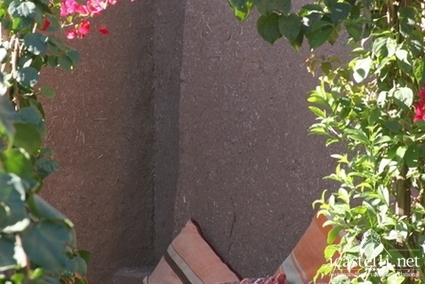 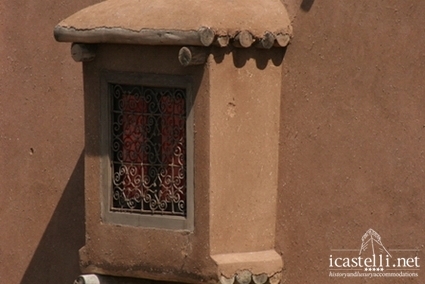 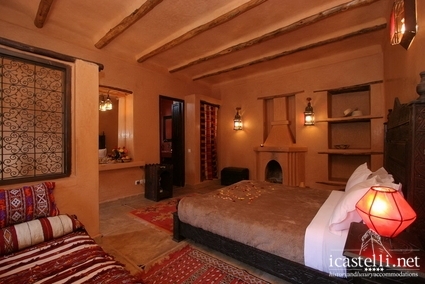 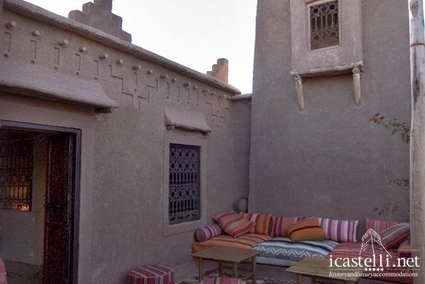 “Jnane Leila”, an authentic reproduction of a Berber village, rests languidly inside a humble village gate along the road to the legendary Valley of Ourika. 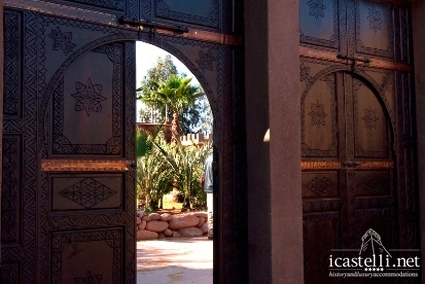 Designing and building this magnificent structure was a true labour, with meticulous attention to details such as the use of traditional skills and materials, original Moroccan architectural features from handcrafted desert-toned bricks, uncovered rustic beams, elaborate wrought iron designs and Tadelakt Moroccan stucco to complete the superb facade. 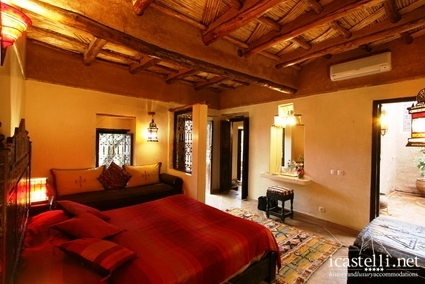 Every guestroom comes with its very own fireplace and terrace with spectacular views of the grounds, the pristine swimming pool and the verdant, lush garden, filled with incredibly sweet scented jasmine, orange trees and other native, exotic flora. 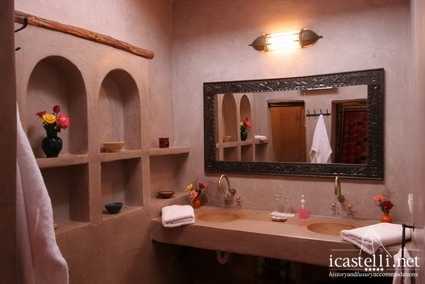 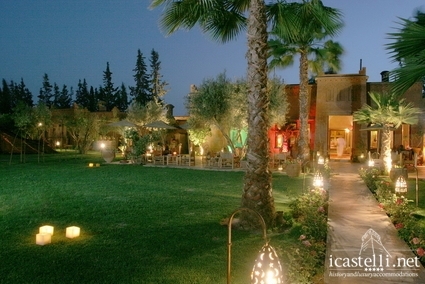 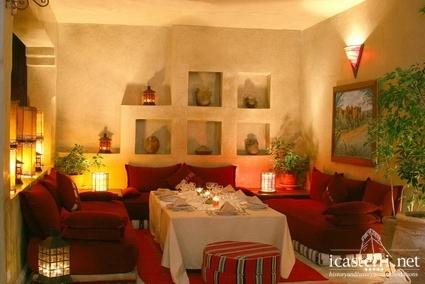 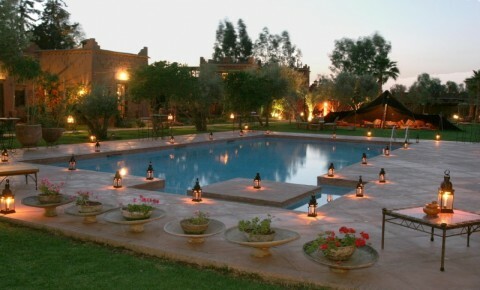 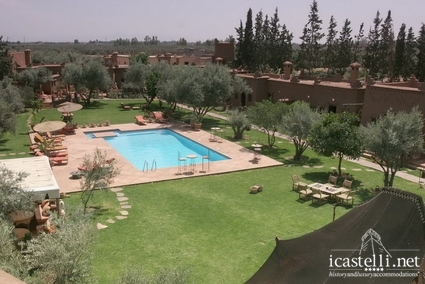 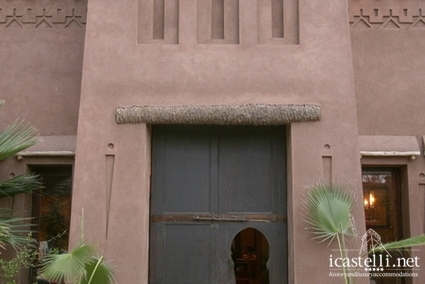 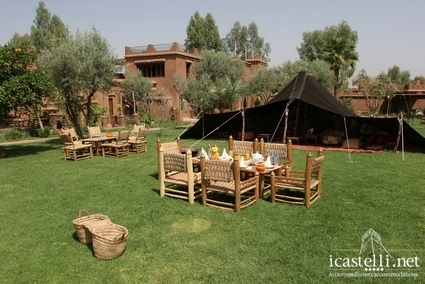 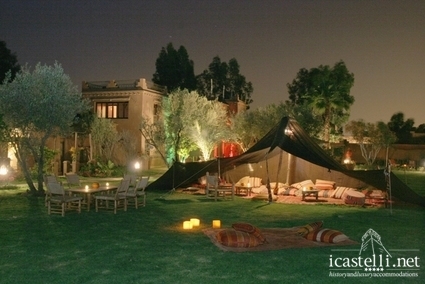 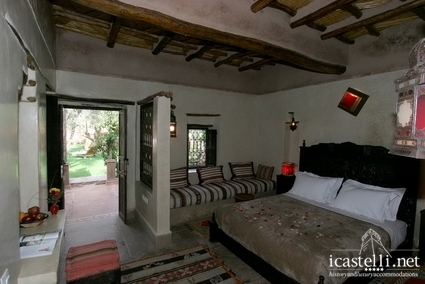 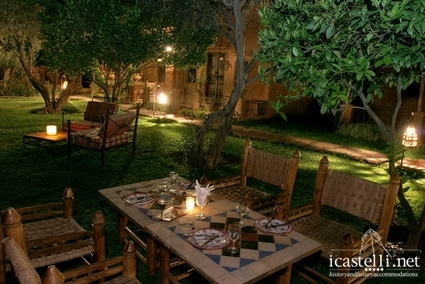 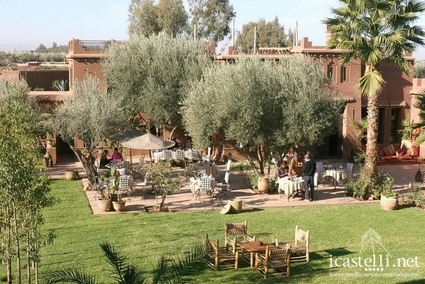 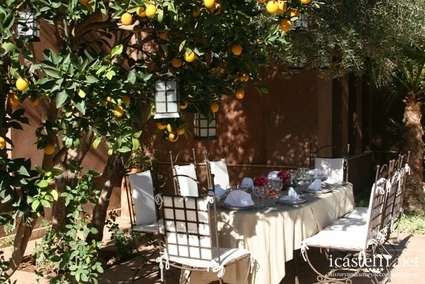 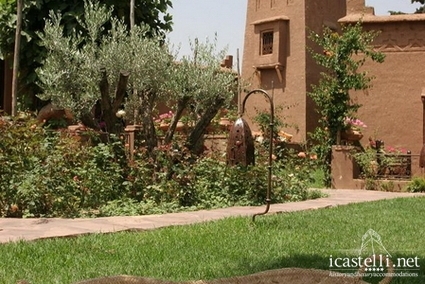 The decor is pure Berber inspired elegance and refinement, with iridescent magic lanterns and carpets, hand woven fabrics, native terra cotta and intricately depicted symbolic calligraphy pottery throughout the manor. 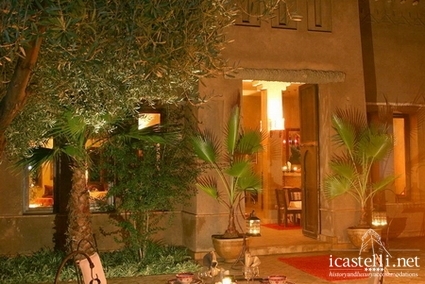 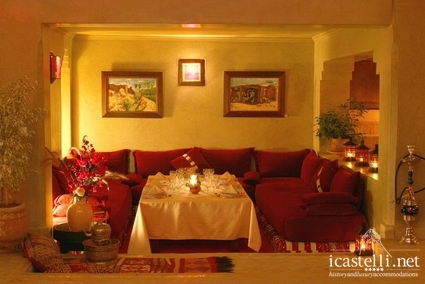 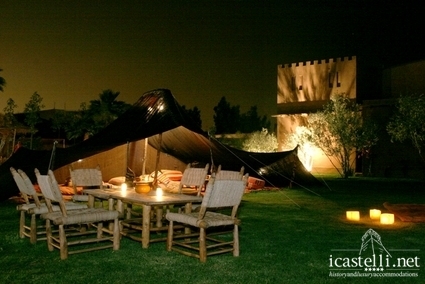 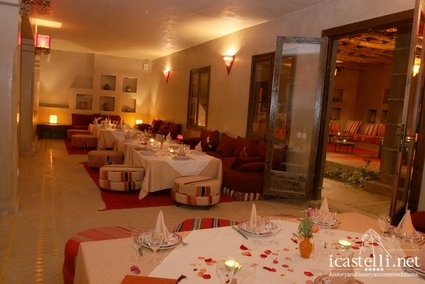 The restaurant, discreetly and romantically nestled under a quiet panoramic terrace, offers sublime authentic Moroccan dishes and recipes, prepared in the finest ancestral tradition, using almost exclusively wholly organic products, created with care and patience and great respect for the rich culinary treasures of this breathtaking land.